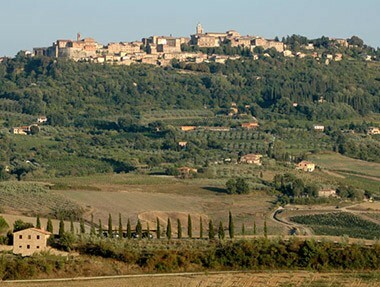 From the heights of its hill, the ancient hamlet of Torrita di Siena looks out over western Valdichiana. Acting as a watch post guarding what at one time was the Republic of Siena, the town takes its name from its ancient architectural features: the old fortress was surrounded by imposing curtain walls featuring four square towers and four entry portals. Set in the luxuriant brush vegetation of Tuscany, amidst the scents marking the area’s extraordinary traditional recipes, Torrita di Siena is well worth a visit, starting from its historic centre with brick-built houses, breathing out the atmosphere of days gone by. A strategic point for visits to the surrounding area, Torrita di Siena is well connected to other important centres such as Siena, Arezzo, Perugia and Florence. 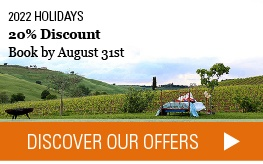 To experience to the full the Medieval atmosphere amidst the colourful tints of Torrita di Siena, we suggest you choose one of the stylish hotels set in the nearby valleys, such as Val d’Orcia or Montefollonico, true gems of Medieval Tuscany. Here the spring period is especially attractive. The mild temperatures, lush vegetation and the tastes and flavours of the land make Torrita di Siena the ideal place to await the return of the swallows.